With a P/S ratio at 24, Elastic is overvalued. March Lock-up expiration beaten down the stock but $80 key level holds. Upcoming May 3rd expiration might give growth investors another buying opportunity. One of the best performing IPOs in 2018 has to be Elastic. At Friday's closing price, ESTC has gone up 18% since its first day of trading in last October. ESTC is now trading more than double its IPO list price of $36 and has a TTM P/S ratio of 24. The valuation is excessively stretched and is reminiscent of the Dot-com Bubble. Elastic is a fast-growing search engine company with annual sales of $240M. 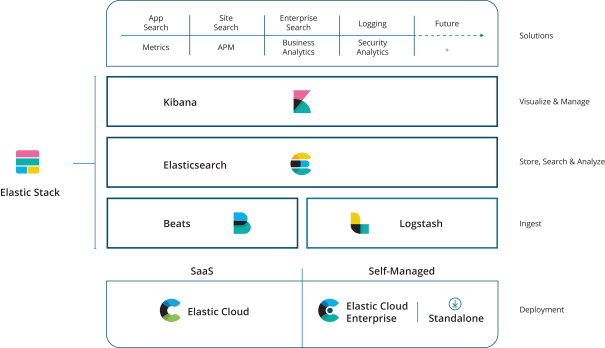 Elastic offers its worldwide customers the Elastic Stack, a bundle of software products that help digest and store data from any source, in any format and perform search, analysis and visualization at rapid speed. Since the first public release of Elastic search in 2010, Elastic has steadily built up a massive customer base globally. ESTC has over 7,200 customers as of Jan 31st, 2019 and more than 380 customers with ACV greater than $100K. Based on IDC 2018 research, there is a total of $45+ Billion addressable markets for ESTC software offerings. With almost no direct competition, Elastic is positioned to maintain its dominant market position and steadily achieving profitability. From its prospectus, Elastic also has a healthy mix of international customers with only 61% of total revenue are generated from the U.S. customers. The software helps Uber to locate nearby riders and drivers. It helps Walgreens to provide right product recommendations to its customers. It helps Tinder to improve the effectiveness of its matching algorithms. Elastic provides professional services to other well-known names, such as Sprint, Adobe, and SoftBank. Recently released FY19 Q3 earnings undoubtedly exceed Wall Street's expectations by a large margin. ESTC is a growth beast with total sales up 81% YoY and a smashing 87.3% growth in its core subscription business in FY18. This fiscal year, quarterly sales already up 73.1% on average in the first three-quarters of FY19. Back in Dec 2018, full year (FY) Revenue was projected in the range of $64-66M and analysts have a consensus of $65.77M. The actual revenue was $70.83M, a 7.7% positive surprise. The complimentary Professional Services business saw a 25.2% growth in FY18 but shown a 129.5% growth in FY19 YTD sales. Going public has definitely attracted more customers to sign up for Professional Services (software consulting). 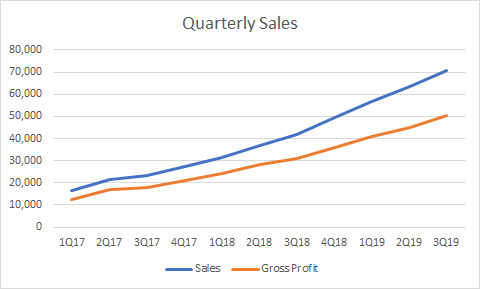 At this pace, ESTC will easily see an FY2019 total sales growth of 72-75%. With the Q3 earnings release, the company expects Q4 revenue will be in the range of $74-76M and the Street consensus is at $75.76M. This is an easy target for ESTC to beat and only implies a 51% growth Q/Q growth. On the other hand, Q3 calculated billings shown a 68% Y/Y growth and 76% TTM Y/Y. Net loss has been narrowed from $26.8M to $21.9M. This is a good sign of profitability in the foreseeable future. However, the positive earnings surprise has been clouded by the lockup expiration worries. Wall Street is still expecting a -1.11 FY19 EPS and -1.24 FY20 EPS. In my opinion, Q4 revenue should be in the range of $83-85M, implying a reasonable Q/Q growth of 67-71%. As a result, FY19 sales is estimated to be around $276M (72.5% Y/Y). My conservative estimate for FY20 sales is $430M (55.8% Y/Y) and would lead to a Forward P/S ratio at 13.4. I am also expecting a much smaller net loss for FY20 because FY19 net loss is largely attributed to expenses related to the company going public. FY20 operating expenses are expected to be $350M and FY20 EPS would be $-0.71. Analysts' ultra-conservative estimates would provide more positive earnings surprises in the upcoming quarters. The low expectations are also good buffer if the company's growth decelerated due to the unfavorable economic climate. Elastic currently has a P/S ratio of 24 and no positive earnings for P/E ratio. This valuation is definitely sky-high comparing to the average P/S and P/E of the overall market. However, the underlying strength of the stock grants me some confidence to invest in this expensive name. In the mid of the micro bear market of Q4 2018, ESTC still managed to hold $60 level, a 67% above its IPO list price, while other small-cap SaaS players suffered. 2019 Q1 has been the best quarter for most cloud and SaaS players, with notable names such as TTD and MDB doubled in three months. Elastic went up from $60 to $100 in the first two months of 2019 but was beaten down to low $80s with the lockup expiration in March (25%) and May (75%). Investors are worrying that ESTC will have a similar fate as NTNX or PVTL once lockup period expires. Surprisingly, ESTC managed to firmly hold $80 level and continues to see its short interest declining. Since March 6th lockup expiration, ESTC has only closed twice below $80 but gapped up to $82+ on the next day on both occasions. As of April 12, short interest dropped to 7.38% from 10.37% in the previous week. Based on Fintel data, ESTC has a 116% institutional ownership and 100+ institutions backing. According to Yahoo Finance, 95.18% shares float has been held by institutions. There were virtually no institutions selling in the first three months of 2019 except insiders. Since March 6th 25% lockup expiration, Insiders collectively sold 320.6K shares as of April 8th. With an average daily volume at 650K, it is safe to assume that insiders have no intention to cash out quickly. At the current level of $82 per share, all IPO investors at least gained 127% in their positions since last Oct. All post IPO investors saw their shares appreciate more than 18%. In the current environment, it is hard to find a 70% growth company with a cheap valuation. A P/S ratio over 20 did not stop sell-side analysts putting a $98.5 price target on the stock. The 75% lockup expiration date is May 3rd and ESTC will likely to suffer another 3-5% drawdown just like it did on Mar 6th. $80 price level has proven to be hard support based on massive institutions buying. $75-80 range seems a good entry point for growth investors after the initial dip after the May lockup expiration. Unlike other busted IPOs in 2018, ESTC has been a clear winner with a bright future ahead and insiders are more inclined to hold on to their stocks for future capital gains. Positive Q4 results are likely to be released in the end of May or early June, which would provide enough boost for the stock to test its prior high. 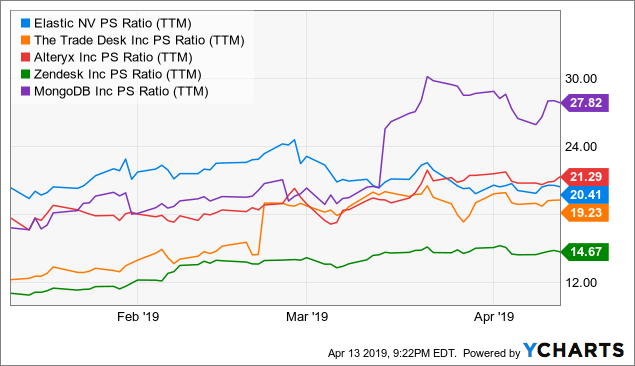 Meanwhile, Uber, one of Elastic's biggest customers, is going public in late April or early May, which might provide additional tailwinds for ESTC stock. 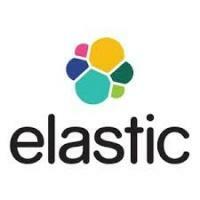 Elastic is a newly listed public company in a rapidly changing industry with high risks. Investing in Post-IPOs has always been a difficult task due to the overly optimistic outlook and growth estimates. High growth is currently rewarded with high valuations but a miss in earnings will drive down the stock dramatically. We have seen examples such as SNAP, GPRO, and APRN, just to name a few. Consistently meeting analysts' expectations also increases the credibility and reliability of the management team. Post-IPO investors should pay close attention to the company's press releases and quarterly earnings. Another major risk is a technological change in the SaaS industry which might make Elastic's offering obsolete. Billings numbers are good indications of expected sales and growth. Growth investors need to monitor the company development closely to make an exit if growth can no longer support the hefty valuations. Elastic is a high-growth company with no profitability as of now. Investors could project positive cash flows later in the investment horizon. On the other hand, a cash-burning company might issue shares or bonds to finance its operations and dilute existing shareholders. Investors might have liquidity concerns if the company keeps incurring higher losses. Elastic is a newly listed tech company with high sales growth in the last two years. While analysts are setting low expectations, I am confident Elastic is more than capable of beating earnings estimates in the upcoming quarters. A hefty valuation of the company is supported by high growth as of the latest quarterly results and reflects the FOMO phenomenon in this stock, especially within the community of institutional investors. With 75% lockup shares coming to the market on May 3rd, I believe this would provide a good entry point for growth investors to pick this name up before it makes new highs with strong earnings later in the quarter. Disclosure: I am/we are long ESTC, TTD. I wrote this article myself, and it expresses my own opinions. I am not receiving compensation for it (other than from Seeking Alpha). I have no business relationship with any company whose stock is mentioned in this article.